There is something about blue lenses, and some have even made it their hallmark. 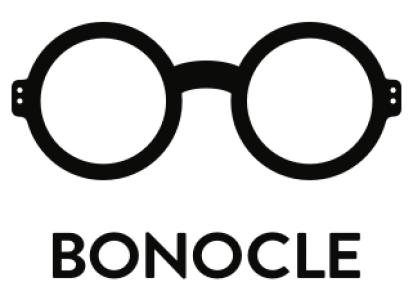 Colored or tinted lenses definitely make your glasses unique! 1. 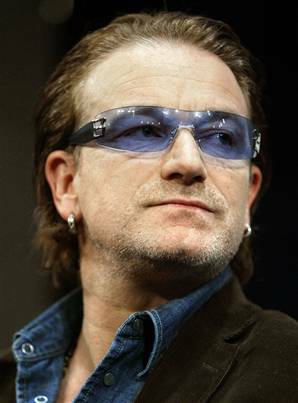 Bono. Photo from here. 2. Steve McQueen in Persol 714 from the movie “Thomas Crown Affair” in 1968. Photo from here. 3. Katy Perry in MYKITA Moncler Achille at the 2012 Grammy Awards. Photo from here. 4. 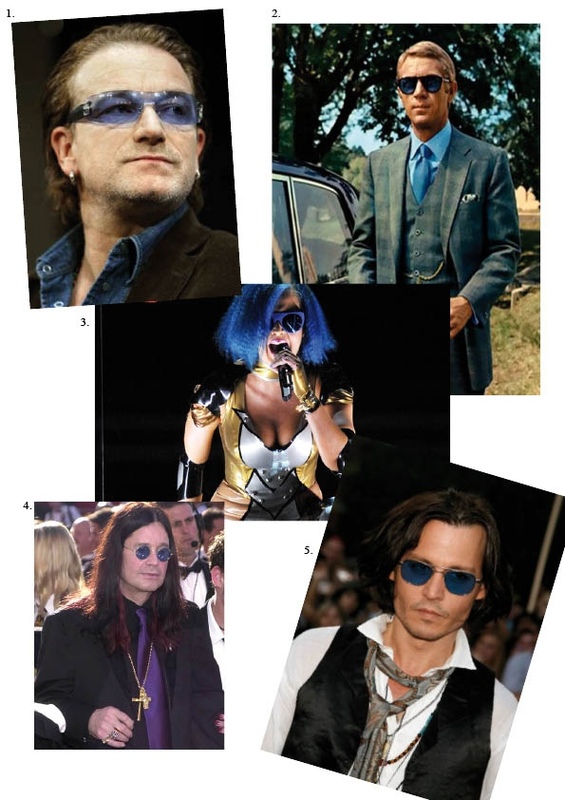 Ozzy Osbourne in his round blue-tinted glasses. Photo from here. 5. Johnny Depp in something else than his usual Moscot Lemtosh. Photo fro here.